As part of the current Administration's stance on improving the lives of OFWs and Filipinos in general, President Duterte has put a stop to tanim-bala scam as well as ending the arbitrary opening of balikbayan boxes of OFWs. He has also vowed to clean the ranks in government, including the Bureau of Customs. Remember that guy who said "If they will only raise our salary, we don't have to resort to this." He meant corrupt practices like accepting bribery or extortion. As of this time, that guy has been fired or suspended at least. 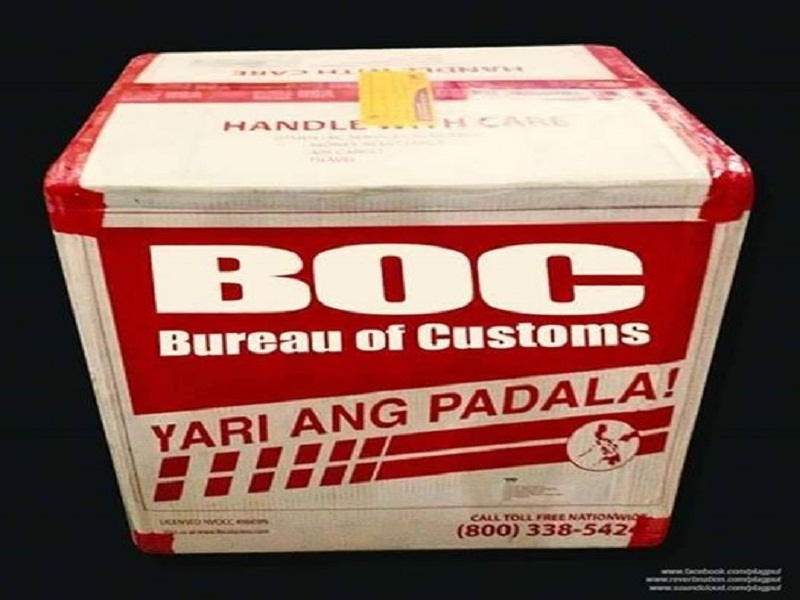 Netizens slammed BOC during Noynoy Aquino's time, for opening Balikbayan Boxes. Memes like these were all around social media. 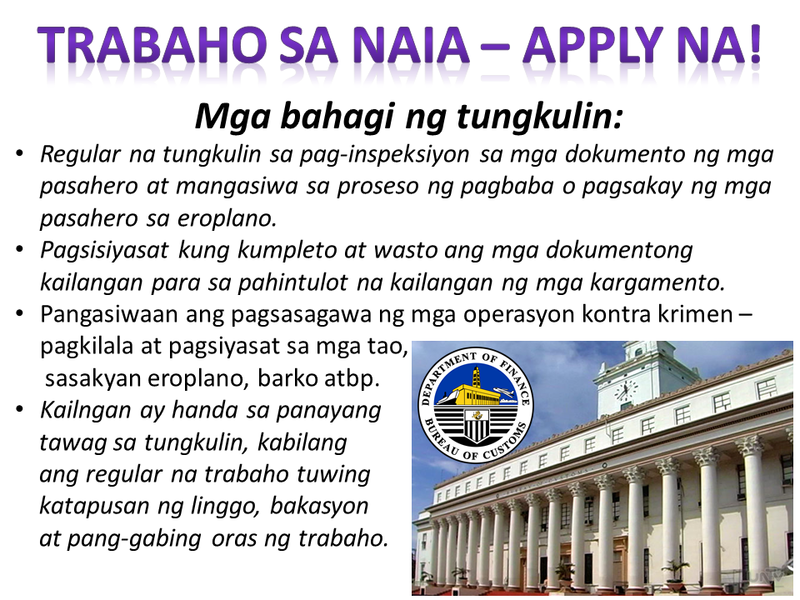 To improve the services of the embattled Bureau, and with it, its image among Filipinos and foreigner nationals alike, the Bureau of Customs has opened Job Vacancies to hire fresh faces to man Manila International Airport. This is part of the more than 3,200 people set to be hired by the Bureau to reorganize and reconstruct the whole bureau, strengthen their ranks and increase their revenue, while combating corruption. 14 Full-time Staff to be hired, with item. 10 Full-time Staff to be hired, with item. Job Item means the job is full time and not contractual, subject to rules on probationary periods. Requires on-call duty assignment, including regular scheduled work on weekends, holidays and evenings. 1. 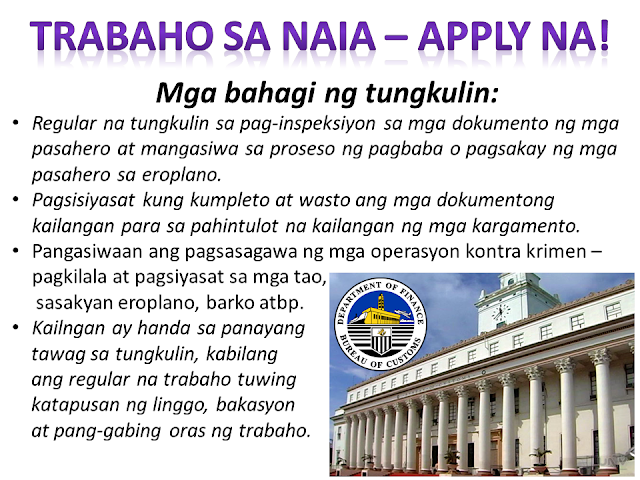 All applicants must meet the minimum requirements of the vacant position(s). Copy of Performance Appraisal Report for the last 2 rating periods (for government personnel only). 3. The prescribed Letter of Intent (Forms A and A-I) may be downloaded from BOC website at www.customs.gov.ph. 4. Please indicate the division being applied for in the Letter of Intent. 5. The deadline of submission of documentary requirements is on 17 May 2017. All applications received beyond the deadline shall no longer be processed. 6. External recommendations shall not be included in the documents to be submitted to the BOC HRMD for evaluation. b. 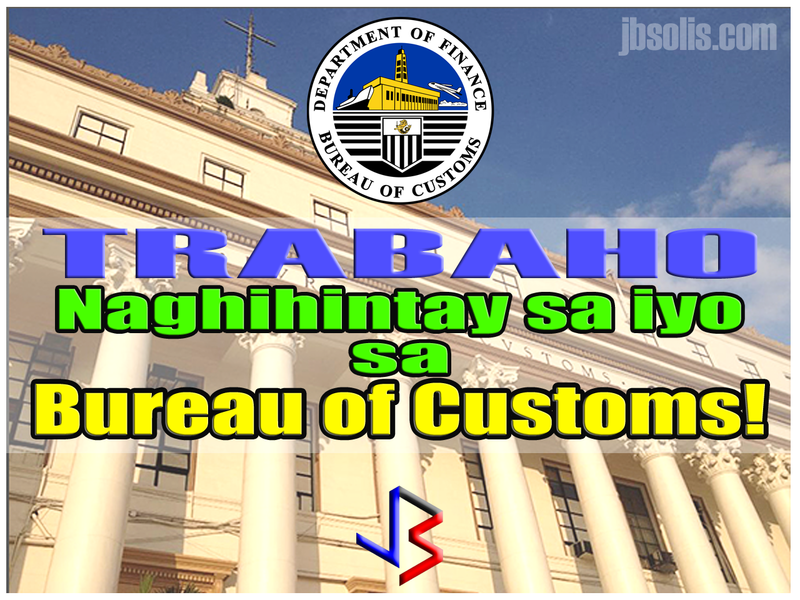 New applicants with relative/s within the fourth civil degree of consanguinity or affinity and who is/are currently employed in the Bureau of Customs, pursuant to Customs Administrative Order 03-2014. 8. Kindly be advised that we will only accept applications with complete requirements. 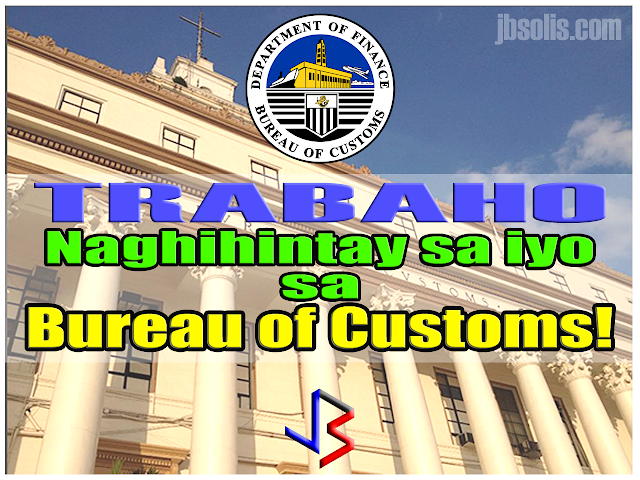 An employee from the Department of Finance has confirmed that this is just the first wave of the massive hiring within the BOC. As earlier stated, more than 3,200 people are set to be hired. Stay tuned for the next Job Openings! STROKE, Do You Have These Symptoms? 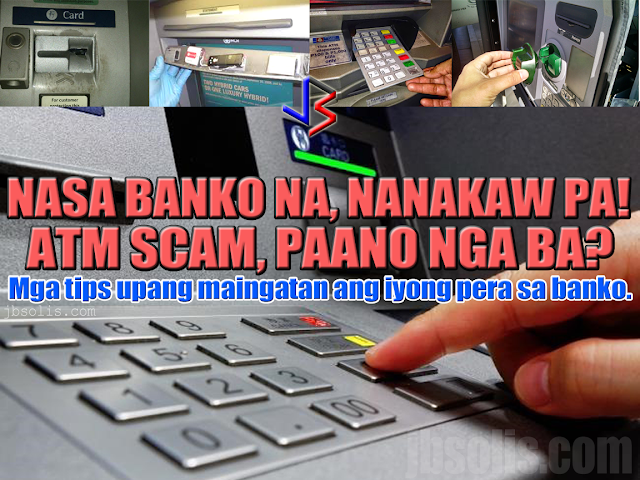 Do You Know These 8 Uses Of BPI ATM Debit Card? OFW Bank to Offer Zero-Interest Loans to OFWs?